Opening today as the first airport hotel in Sydney to feature three bedroom suites, the largest that the area has ever seen, Meriton Suites Sydney Airport is providing greater value and extra comfort to their voyaging guests. “We are thrilled to deliver yet another Meriton Suites hotel in the immediate Sydney Airport area. 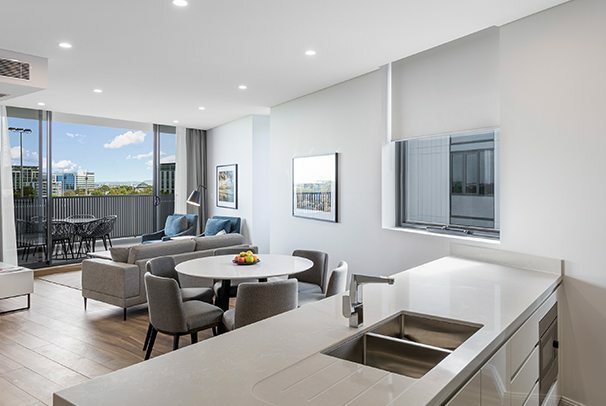 After the success of our Mascot Central hotel with 379 suites, it was clear that travellers are choosing larger apartment-hotels when needing near-airport accommodation,” said Matthew Thomas, General Manager of Meriton Suites. Emerging with stiff legs from the confines of what is usually an extensive flight into Sydney, travellers long for a comfortable place put up their feet and relax. Traditionally considered a last-minute option for the distressed traveller, stranded from an inevitable delay, airport precincts have been transformed into accommodation hot spots for those wanting the comfort of a conveniently located hotel. “Usually, this Mascot location is either the first impression or last impression that our guests will have of Sydney, or even Australia, so it is unsurprising to see that there has been a lot of work and development put into it. There are new entertainment quarters, dining areas, trendy cafes and bars as well as shopping precincts that have been established nearby,” Thomas said. As the second Mascot hotel for the brand, Meriton Suites Sydney Airport boasts 179 self-contained suites, all of which welcome guests into oversized living spaces, furnished with chic furniture and a sophisticated décor, are the perfect options. Ranging from one, two and three bedroom suites, all suites feature configurable king-sized bedding for ultimate flexibility that caters each stay to the needs of its guests. One bedroom suites also have separated bedrooms and living spaces to ensure maximum space throughout the stay, offering 100% more space than a typical hotel room. “We are proud to have the opportunity to accommodate some of the 114,000 passengers that pass through Sydney Airport every day and have them stay with us, experiencing the great value accommodation that only Meriton can provide,” Thomas said. Positioned on the corner of Coward & O’Riordan Streets in Mascot, each suite is fitted with a gourmet kitchen, equipped with the essential utensils for a home cooked meal, while a Woolworths supermarket is situated only a 600m walk away at Mascot Central Retail Precinct. Delivery services are also available, where grocery packages tailored to the guest and their stay-type is brought right to their front door. Alternatively, comfort food is also an option and has been redefined by Meriton Suites’ involvement with Deliveroo. Bringing room service from an assortment of cuisines sourced from local restaurants, guests are able to indulge in freshly made food, without having to leave the suite. With an exclusive fitness centre and recreational facilities, which include an indoor heated lap pool, spa and sauna, those arriving and departing from a long-haul flight are able to stretch their legs, or relax in style. Meriton Suites Sydney Airport is also located opposite Mascot Oval, allowing guests to enjoy a short stroll under the iconic Sydney sun. All guests are kept connected with complimentary, unlimited Wi-Fi, found in all areas of the hotel including all suites, while all entertainment needs are catered to with an extensive range of Foxtel channels available, with each bedroom featuring its own flat-screen TV. 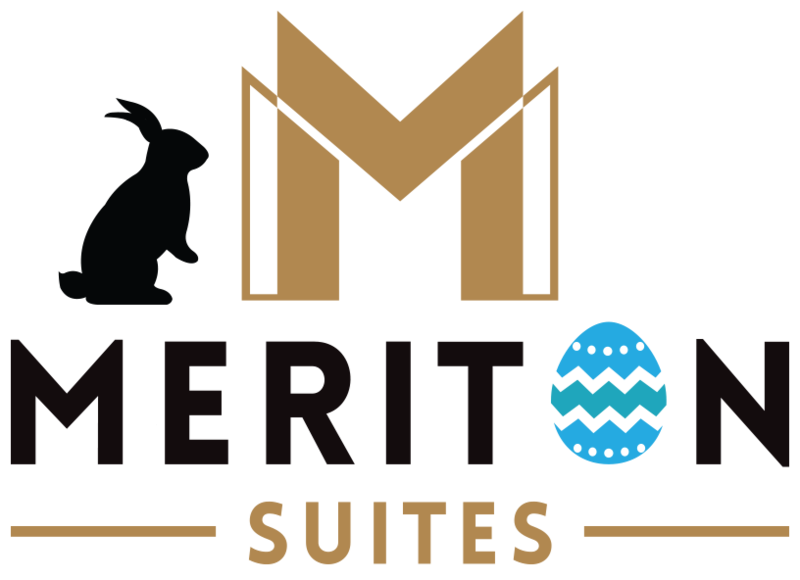 Meriton Suites, Australia’s largest owner of hotel rooms and among one of the country’s largest hotel operators, offers studios, one, two and three bedroom suites in Sydney, Brisbane and the Gold Coast.